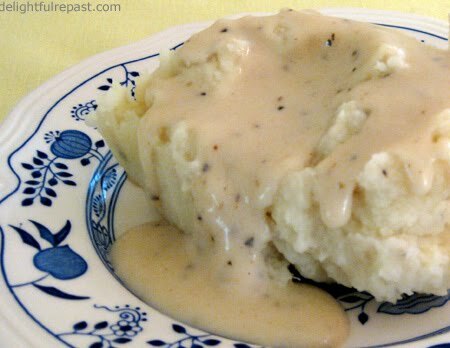 Cream gravy may not be the most photogenic food in the world (especially in the hands of an amateur photo- grapher), but it's so good. As you can see, my Southern roots won out over my English roots for this week's post. Got a craving for buttery mashed potatoes and cream gravy--just when I was ready to get serious about my cholesterol level! 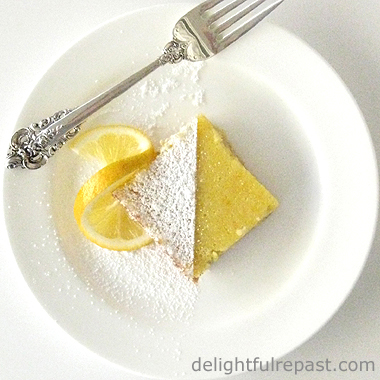 Well, Julia Child wasn't afraid of a little butter, cream and fat; and she lived to be nearly 92! I was just a young girl when I began working on my family tree and struck up a correspondence with my 89-year-old great grandmother. We were pen pals right up until she died about a year later. Wish I could say I still had her letters, but they got lost in a move. Though I never actually met her, I felt very close to her. She was quite a woman. Born in Virginia and at 34 living in North Carolina, she and my great grandfather and their seven children headed to Oklahoma in a covered wagon. Two children died, and another was born, on the long, slow journey. When they reached their destination, my great grandfather felled trees and built a log cabin with a dirt floor. And my great grandmother, a strong pioneer woman, was in a constant whirl of working and cooking (and having more children). Her grandchildren fondly recall her fine cooking--hot bread, fresh from the oven of her wood stove, with butter she had churned herself, vegetables from her garden, fruit from her trees, biscuits and gravy, fried chicken and gravy, mashed potatoes and gravy, pork chops and, you guessed it, gravy. She was frequently heard to say, "I've made enough gravy to float a battleship down the Mississippi." Her daughter, my grandmother, was also a great cream gravy-maker and I enjoyed her gravy often throughout my childhood. I make several different gravies, but I can never make cream gravy without thinking of these two women. I don't like to waste food (Grandma would be so proud! ), so sometimes, even after eating a big dinner, if there's just a little bit of cream gravy left over, I'll have it on a piece of bread. I've always called it "gravy bread." Hmm ... wonder if anyone else out there enjoys gravy bread. In skillet, whisk together the fat (I know, I know, "bacon grease" sounds just awful; but it tastes so good!) and flour and cook, continuously stirring, for a minute or two until bubbly. Whisk in milk and broth. Turn heat to low and continue stirring until mixture is thickened, a couple more minutes. Stir in salt and pepper. If you like thicker gravy, cook a little longer. If you like thinner gravy, add milk or broth a tablespoon at a time until it's just the way you like it. Bacon grease sounds good to me! But only because I like to wipe my plate clean with bread when I finish a full English breakfast. Ahh, the full English breakfast. It's been too long! Of course, I can never eat that much in one sitting; so I just order the eggs, bacon (LOVE the bacon in England! ), tomato and toast along with the orange juice and gallons of good strong tea. This recipe had me thinking of our dear AB and her wonderful gravy! I love the connection you make of food to family and dear friends. Thank you for that reminder today. It's such a happy and precious memory! Thank you for following my blog! You'll notice there doesn't seem to be any food in existence that doesn't remind me of someone! Thanks for checking out the xtra xtra blog, Jean. I think you're doing awesome work here on the Delightful Repast! Thank you so much, Cooley. I always said my Grandma could make gravy out of an old shoe if the cupboard was bare! P.S. Thanks for stopping by WeBlogbetter, I'm going to follow this blog and tease myself with all these delectable blog posts. Thank you! I do like to post about a nice salad now and again, but I'm afraid my blog is a little heavy on the kind of things we should have only as occasional treats. I'll have to post my biscuits soon, but in the meantime there is a link to them from my Split Pea Soup and Biscuits post. Mmmmmm bacon grease is good for the soul! As a young girl my grandmother traveled in a covered wagon with her family and they ended up settling in New Mexico. Who would have ever thought that one day, her granddaughter would be born and raised in Georgia! With a mom native to the west and a father raised in the South we have a case of tortilla meets biscuit. I can make the flat bread just fine but have never mastered the art of the fluffy slightly tangy goodness of the buttermilk biscuit! I have not lost all hope on that endeavor and my friend Eunice is on a mission to "learn me". So glad I have at least conquered the gravy, perhaps all is not lost! Thank you, Annette. You'll like my biscuits, too, I'm sure. I'm going to put them on the blog on Friday. Your blag makes me homesick :) Did your grandmother ever make tomato gravy or have you ever heard of it? No, Daniel, I don't remember my grandmother making tomato gravy. I'll have to check with my cousin about that. Sounds good, though. You can bet I'm going to try it soon! I love the dish photographed here, can you tell me the pattern and who makes it?!... and a Wonderful gravy recipe to boot!!! Maggie, that plate is the Blue Onion pattern - a classic pattern made by several companies. Perhaps Meissen was the first, I'm not sure. I have a number of pieces from Blue Danube, such as this snack set - http://www.delightfulrepast.com/2010/03/pimento-cheese-pimiento-cheese.html. The little plate here is part of an ironstone set my mother bought at Sears in the 70s. I'm going to have to try this! When you mentioned cream gravy I had to check your post out! Nancy, thank you. I'm so glad you did! I hope you'll try it soon. People always rave about it when I make Grandma's gravy!